Are you looking for the perfect place to celebrate love with your sweetheart this spring? Why not spend your romantic getaways in Maryland? The beautiful state of Maryland is filled with fascinating history, beautiful coastline, lush forests and loads of attractions in Maryland for couples. Although it’s a small state, it’s packed with romantic things to do in Maryland. Have some fun in the sun at Assateague Island or Chesapeake Beach. Baltimore is the perfect weekend getaway for couples in Maryland looking for a charming city escape. If you’re looking for a bit of outdoor adventure, then Thurmont or Cumberland might be the ideal Maryland vacation spots for you. In a city known for sports, history and romance, Baltimore is the perfect destination for a romantic getaway in Maryland. 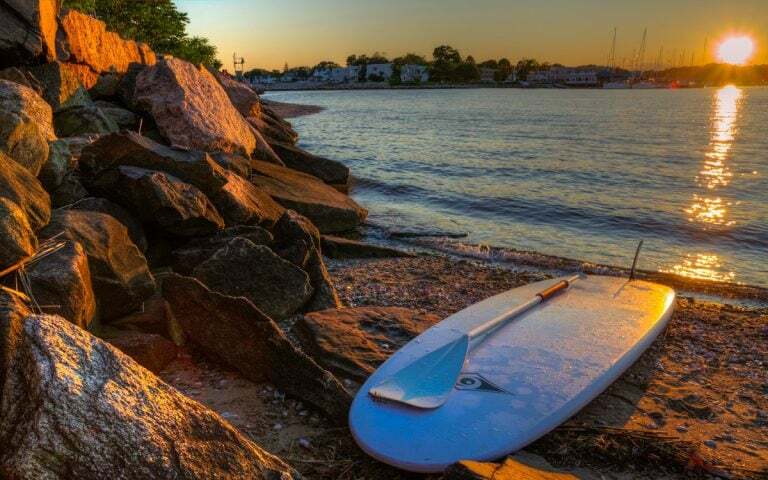 Situated alongside Chesapeake Bay, Baltimore Maryland beaches are the best place to spend a romantic afternoon with your sweetie. Aside from beaches in Baltimore, Maryland there are loads of exciting attractions for couples to enjoy. The history in Maryland dates way back to 1632 when the first Maryland colony was established. 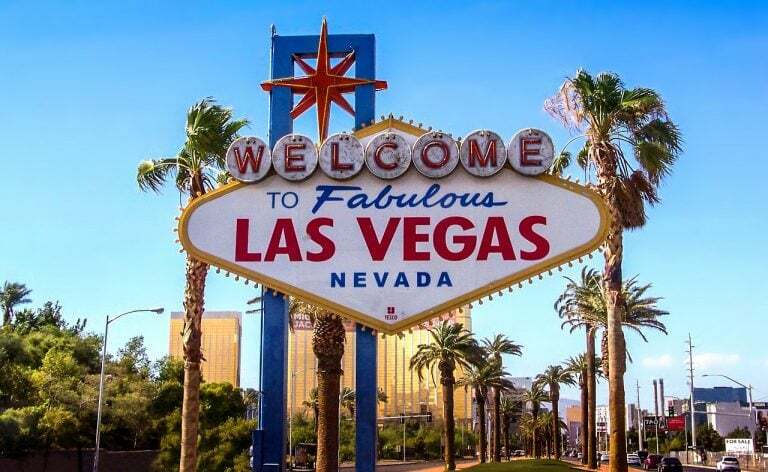 Since then, it has been an economic hub in the United States. If you like poetry, you may remember that Edgar Allan Poe actually fell in love with his wife here. With such an abundant historical presence, Maryland boasts fascinating museums, architecture, monuments and historic neighbourhoods. One of the best things to do in Baltimore, Maryland is to take a cruise down the Patapsco River. There’s nothing quite as romantic as watching the sun set over the horizon as you stare at the beautiful nighttime skyline of the city. Baltimore has plenty to offer couples in love. The friendly people, radiant atmosphere, gorgeous beaches and historical backing makes this town one of the best Maryland vacation spots on our list. Are you looking for the perfect romantic date ideas in Baltimore, Maryland? There’s nothing quite as romantic as a candlelit dinner for two and an evening of dancing with your love. Step aboard The Spirit of Baltimore for 3 hours of endless romance. Your special evening will begin with a romantic candlelit dinner on the sea. Enjoy the beautiful bayside views as you finish your buffet meal over a glass of your favourite red wine. After your meal, pay close attention to the talented waitstaff, as they dazzle you with a special performance. Coffee and Desert is served later, while the cruise’s DJ gets the party started. Home to the Baltimore Ravens and the Baltimore Orioles, devotion to sports runs deep in this city! If a game is happening, expect it to be playing in every bar, restaurant and hotel that has a TV. Why not go one step further and actually attend a game? There’s always a sporting match happening on your weekend getaways in Baltimore. Trust me, even if Baltimore isn’t your team, by the time your Maryland vacation is over, you’ll love the passion that the locals have toward their teams. Baltimore is home to beautiful architecture, historical buildings, beautiful scenery and an epic skyline. In Baltimore, there really is no better way to explore the city as taking a romantic lunch or dinner cruise along the Patapsco River. 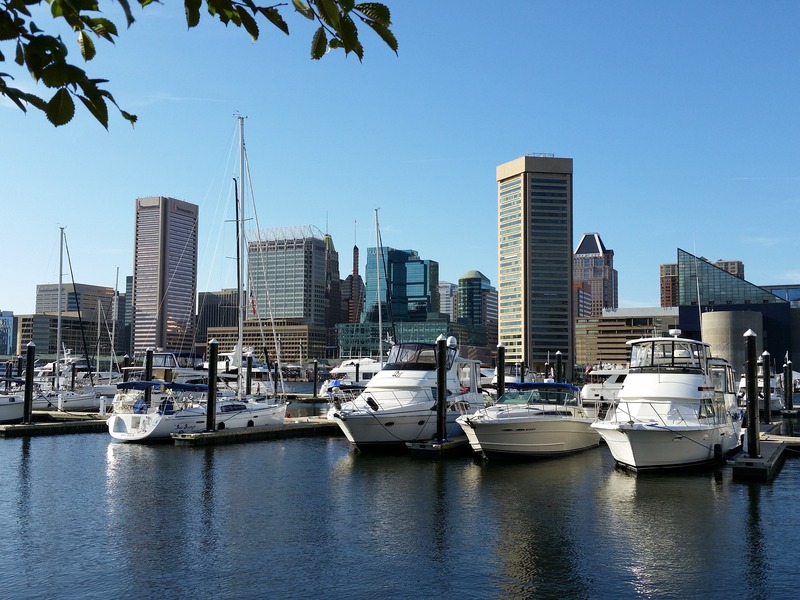 The 2 hour Spirit of Baltimore lunch cruise starts from the Inner Harbor and extends along the Patapsco River. A fresh and delicious buffet lunch will be served along with sweet treats for dessert afterwards. One of Baltimore’s hottest DJ’s will serenade you with music as you enjoy your meal and gaze out toward the beautiful cityscape. Feel free to dance, there’s no holding back here! The relaxed atmosphere is perfect for all ages but makes for a magnificent afternoon date idea in Maryland with your sweetheart. It’s one of the best things to do in Maryland on your romantic getaways in Baltimore. Serving as one of the best vaudeville movie theatres in the country, the legendary Hippodrome Theatre served Maryland for over 70 years. After a brief closing of the theatre, it was renovated and reopened in 2004 as The France-Merrick Performing Arts Center. To this day, the gorgeous theatre still showcases incredible performances, shows and live events. For a list of current shows and showtimes, check here. 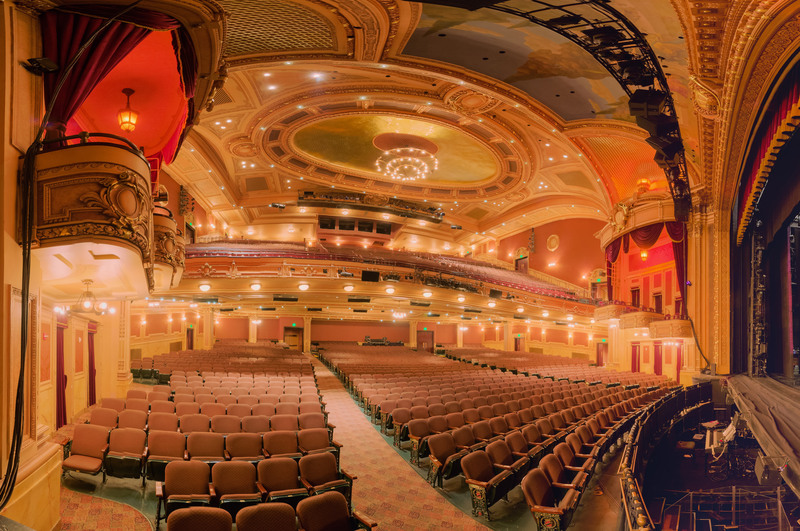 The Hippodrome theatre is one of the most romantic things to do in Baltimore Maryland for couples. Located in the heart of Baltimore, Patterson Park is the epicentre for romantic attractions in Baltimore Maryland. The park features a lake, a marina, a pool, loads of garden space and even a Victorian Pagoda to explore. There’s constantly fun events going on here too, like the Halloween lantern parade or the food truck festival. It doesn’t matter what season you visit, it’s beautiful year round. In the winter, couples can skate hand in hand around the Park’s outdoor ice skating rink and enjoy the festive lights displayed throughout. The variety of things to do in Baltimore more than doubles in the summer months, though. Couples can enjoy lakeside picnics, romantic strolls along the trails, exciting festivals, outdoor concerts and so much more. 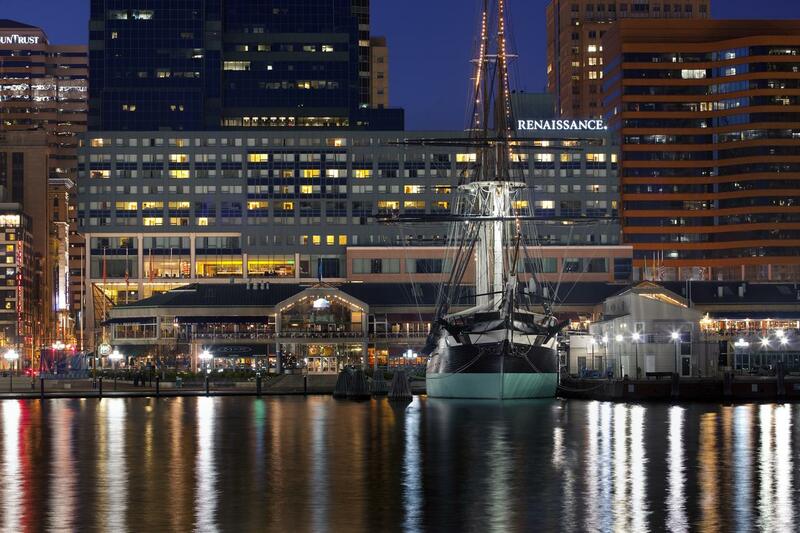 Located just across the street from Baltimore’s Inner Harbor, Renaissance Baltimore Harborplace Hotel is the perfect place to spend your Maryland getaway. This best hotel in Maryland features an indoor pool, on-site dining and a Cafe & Bar that serves Starbucks coffee drinks. Guests will receive upscale amenities and an epic harbour view from their window. The location is perfect for couples wanting to get out and explore the beautiful city of Baltimore during any season. 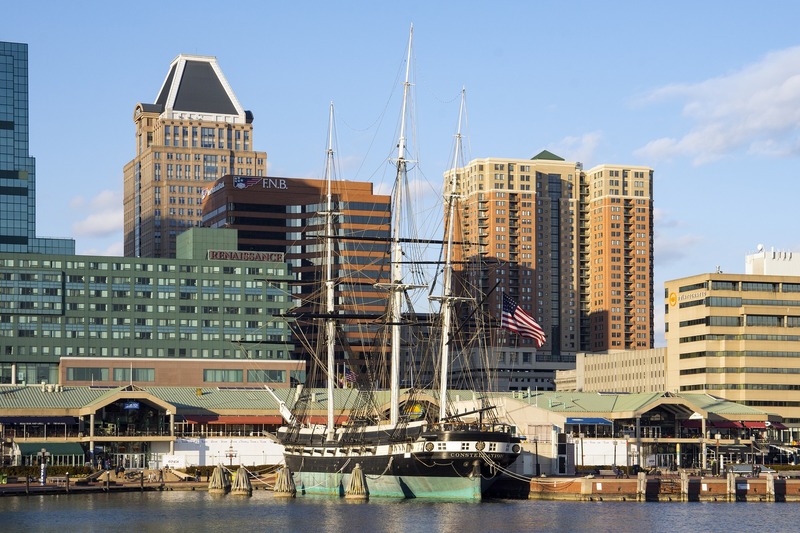 This Maryland hotel is only a few minutes walk away from some of Baltimore’s finest attractions, like Oriole Park and the Baltimore Convention Center. Exhausted after a long day of exploring Baltimore? Rest easy at The Pearl Modern Spa & Boutique. This luxurious spa is the perfect place to unwind during your vacation in Maryland. Known as one of the best spas in Maryland, The Pearl Modern Spa & Boutique features a variety of services, treats and incredible staff. Treatments include manicures and pedicures, massages, facials and various body & skin treatments. From the moment you step into the relaxing atmosphere, you will be lured into serenity. Perhaps the best part is the champagne and brownies while you wait for your service to begin on your romantic getaway in Maryland! The Capitol of Maryland and former Capitol of the United States of America, Annapolis is an amazing Maryland vacation spot for many reasons. Perhaps the biggest reason to visit is for the rich historical value of this town. Annapolis is the picture-perfect image of what America is all about. Historical buildings that date back to the 17th century are common here, including the homes of all four founders of Annapolis. The architecture is simply unmatched for its era and the historical value behind the buildings are just as captivating. Maybe history isn’t your thing? That’s perfectly fine! Couples with all interests can find common ground in this beautiful city. There is just so many romantic things to do in Annapolis, especially for those who’re wanting a romantic getaway near DC. 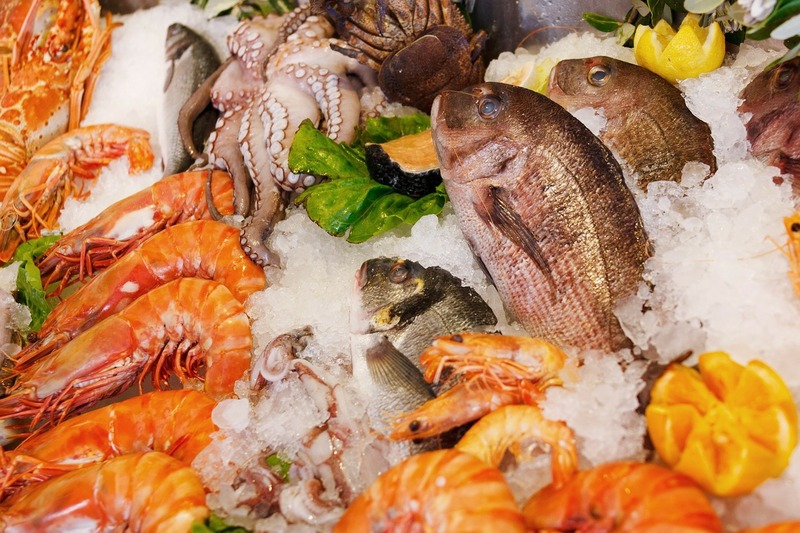 Seafood is an important part of every local’s diet here and should be just as important to you during your visit to Annapolis. There are loads of beautiful parks and beaches in Annapolis to explore as well. Leaving plenty of exciting things to do for couples in Maryland, here. If you love seafood, history and nature, this is the perfect Maryland attraction for you! The Seafood Crawl Tour includes far more than the name suggests. Discover Annapolis’ fascinating history by boat. You’ll cruise along the Severn River and Chesapeake Bay to Eastport, a neighbouring rival town. Eastport features iconic spots that have rarely been seen by visitors and are critical in American history. As you cruise along, get excited to sample varieties of seafood in both Eastport and Annapolis. Between epic historical stories, delicious seafood and panoramic views of the Bay, this is a tour you will certainly not want to go without. This is by far one of the most romantic things to do in Annapolis for couples who just love seafood! As the former Capitol of the United States of America, Annapolis is filled with historical facts and hidden gems you didn’t know about. 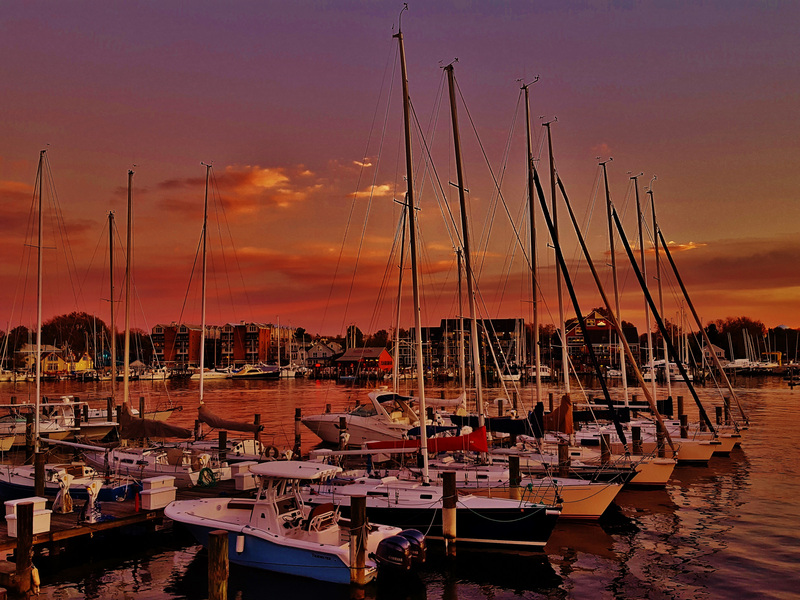 Annapolis is one of the oldest cities in America. Each old colonial building is layered with stories of American heritage. On this exciting tour, guests will learn about the importance of Annapolis over the years and the role it played in building America as it is today. Learn why Chesapeake Bay was such a crucial route for the Country’s economic growth. It’s not all just boring history lessons though. Throughout the tour, you’ll have several opportunities to take panoramic photos overlooking the Bay, explore the original homes of four founding fathers and discover parts of Annapolis you would never think to explore. With a capacity of 5 guests per vehicle, this intimate tour is the perfect addition to any couple’s weekend in Maryland. 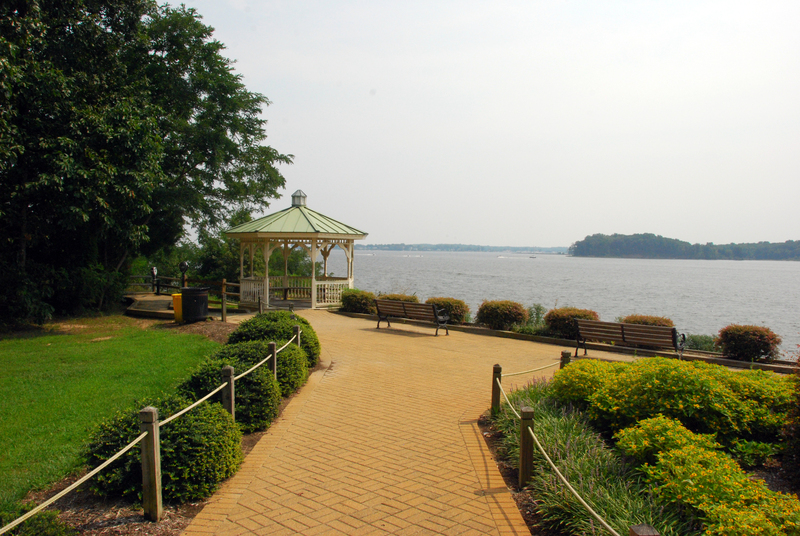 Quiet Waters Park is a beautiful slice of Annapolis’ pie. Nestled between South River and Harness Creek, this beautiful park offers visitors amazing viewpoints, lush forest, winding trails and lots of places for a picnic. No matter the season, Quiet Waters Park is always beautiful. If you love wine, then you cannot pass Great Frogs Winery in Annapolis by. The barn-style winery sits on top of a hill overlooking acres and acres of beautiful vineyards. It’s one of the romantic things to do in Annapolis for couples who love a good drop of wine! The wine-makers at Great Frogs take great pride in ensuring each bottle is perfectly prepared for your taste buds. 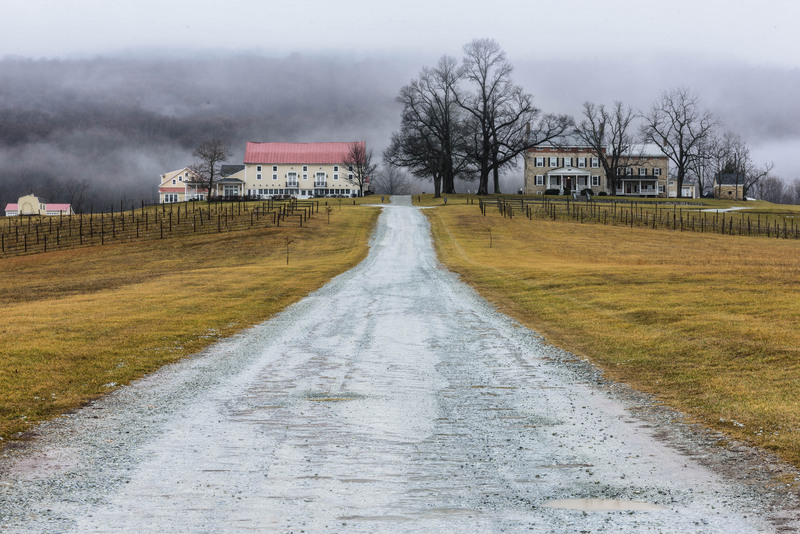 With such incredible wines, wine-makers and beautiful vineyards surrounding the property, it’s easy to see that Great Frogs Winery is the perfect place to visit in Maryland for every wine-lover. 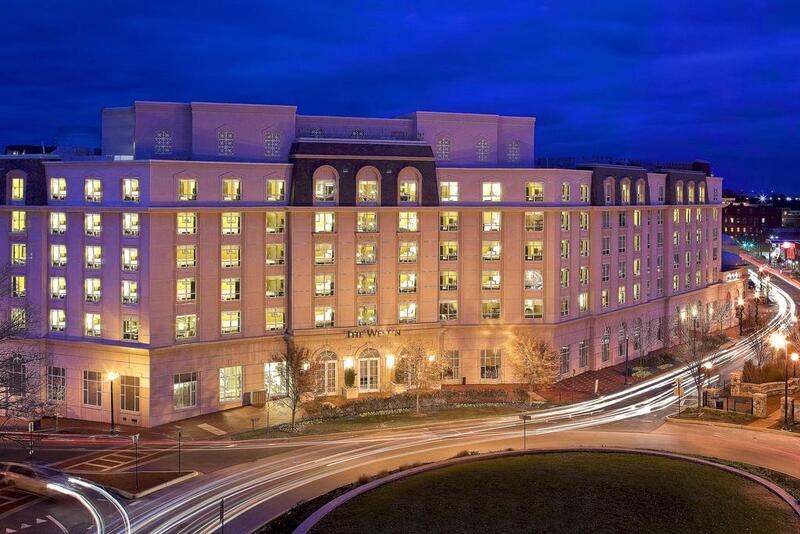 Located just moments from downtown Annapolis, Chesapeake Bay and the State Capitol building, The Westin Annapolis is perfect for your romantic weekend getaway in Maryland. This posh, upscale hotel boasts luxurious amenities, plush beds, an indoor pool and on-site Starbucks coffee shop. The on-site Azure restaurant and lounge is the perfect place to share a romantic meal for two. The hotel boasts a modern appeal with a New England charm. If you’re looking for luxury amenities, great service and a convenient location, The Westin Annapolis is the best hotel in Annapolis for you. Every romantic weekend getaway in Maryland deserves a relaxing spa experience. Even Keel Wellness Spa is the perfect spa in Maryland to unwind during your Maryland vacation. Even Keel is proud to provide exceptional service with some of the best eastern and western therapeutic modalities. The spa features therapeutic massages, facials and skin care treatments for your relaxation needs. Additionally, they also work side by side with neighbouring doctors, trainers and physical therapists to provide optimal care for their customers. Their expert services and exceptional staff is what makes them one of the best spas in Maryland. Nestled in between two beautiful state parks, Thurmont is an ideal place to visit in Maryland for outdoor enthusiasts. The quaint town sits along the Pennsylvania border and draws in tons of tourists each year to experience the town’s beauty. If you’re looking for exciting things to do in Maryland, you’ve come to the right place in Thurmont. Spend your afternoon hiking up Catoctin Mountain Park or exploring the largest cascading waterfall in Maryland in Cunningham Falls State Park. If you visit during the fall, expect a spectacular display of autumn colours throughout the area. The town itself is perfect for an afternoon of shopping and strolling hand in hand with your loved one. The town’s trolley is the perfect way to see Thurmont and some of the surrounding areas. Lastly, a beautiful town like this would not be complete without a winery and orchards. A wine tasting is one of the most romantic things to do in Thurmont, Maryland. 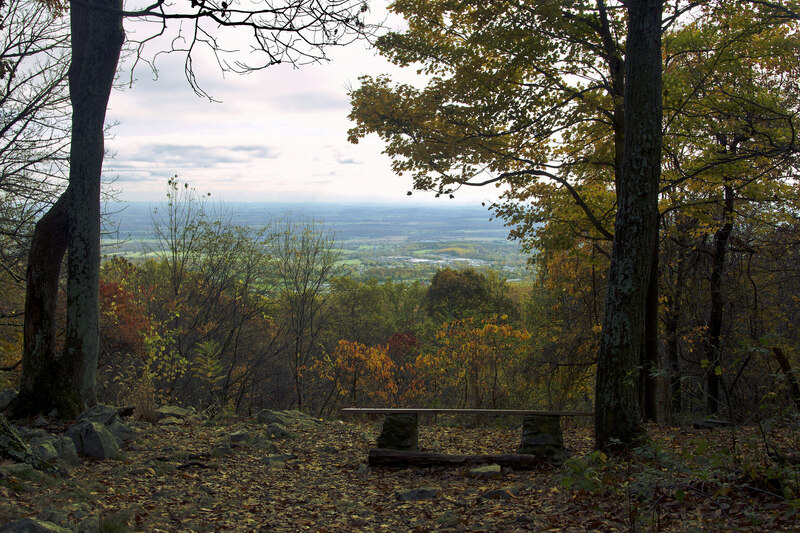 The charming atmosphere of Thurmont, beautiful scenery and exciting attractions make Thurmont an excellent place to spend your romantic Maryland getaway. Home to the largest cascading waterfall in Maryland, Cunningham Falls State Park is easily one of the best Maryland attractions to visit. The park sits just west of Thurmont and features a 43-acre lake, waterfalls, winding trails, scenic viewpoints and more. If you like camping, there are plenty of campsites readily available throughout the year. Cunningham Falls State Park is truly magical any time of year, but maybe especially in the autumn months. The colourful display of seasons changing draws attention from all over the nation. If you’re looking for a romantic date idea in Maryland, you certainly can’t go wrong with a romantic picnic overlooking the 78-foot cascading falls. Cunningham Falls State Park is one of the best things to do in Thurmont Maryland for couples! Springfield Manor Winery, Brewery & Distillery is a one-stop shop that can quench just about anyone’s thirst. The Manor was built in 1765 and true to Maryland’s nature, is rich with history. It’s an ideal location for weddings, receptions, and various parties, so if you’re planning a Maryland wedding, you might consider Springfield Manor. Not only is their cocktail craftmanship unmatched, but the grounds the Manor sits on are just as incredible. The Manor sits among a large lavender farm that draws people in from all across the country. Add in the Catoctic Mountain backdrop and the lush garden-scape, and you have yourself the prettiest scene in all of Maryland. 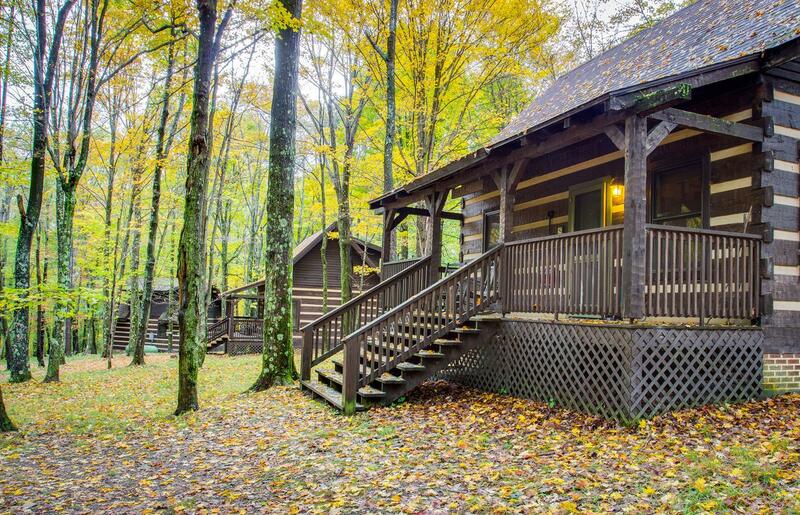 Located just over 7 miles from Thurmont, this absolutely stunning apartment is the best luxury cabin rentals in Maryland. The charming apartment features 3 bedrooms, a fully equipped kitchen and lots of natural lighting. The large fireplace in the living room is the perfect place to cozy up with your sweetie and stay warm. Liberty Mountain is less than 4 miles away from the apartment home and guests can enjoy nearby skiing, cycling and hiking. Among The Trees Apartment Home is perfect for your romantic getaway in Maryland this weekend. So if you’re looking for privacy and intimacy, stay here at these romantic cabins in Maryland. Are you planning your wedding in Maryland, Thurmont? You’ll need a good salon and spa to fulfil are your big day’s beauty needs. The Laventide Salon & Day Spa specializes in massage services, facials, body treatments, and special occasion styling. Their expert stylists have a reputation for making their brides and wedding parties look extra special on their big day. No doubt you’ll be looking and feeling great after a visit to one of the best spas in Maryland. 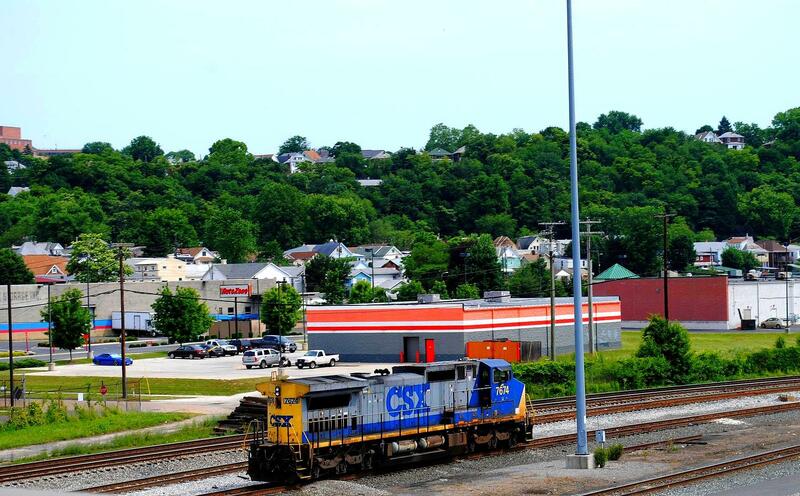 Nestled on the border of West Virginia, Cumberland is known locally as ” Where the South Begins.” This quaint little town is home to the Western Maryland Scenic Railroad, Washington Street Historic District and is one of the prettiest places in Maryland. With Savage River State Forest to the west and Green Ridge State Forest to the east, Cumberland features loads of Maryland attractions for couples. With the Appalachian mountains rising in the distance, Cumberland truly is a town out of a romance novel. It’s simply stunning here and is an ideal place to spend your weekend getaways in MD. The Western Maryland Scenic Railroad is one of the best things to do in Maryland for couples. It’s a scenic round trip railroad excursion that takes you through some of the prettiest places to visit in Maryland. Along the ride, you’ll see a gorgeous mountain top views, famous historical sites and intricate tunnels. The railroad runs year round but features several special events throughout the year as well. Each tour features an on-rail dinner and guests have the option of purchasing various specialty drinks for the ride. Grab your camera and your honey’s hand and get ready for one of the prettiest tours in Northern Maryland. What romantic getaway in Maryland would be complete without a stop at a local winery? Charis Winery is a local winery in downtown Cumberland that shows a special emphasis on creating delicious blends of whites and reds throughout the year. The wine-makers love trying new things and experimenting with their blends to create the best of the best. Pomace Brandy holds as one of the wineries best experiments and is well worth the visit. The Lock House 75 is a delicious oaked brandy and Rose, is a brandy flavoured and coloured with…yep, you guessed it….rose peddles. The Cumberland Inn & Spa is hands down, the best bed & breakfast in Maryland. Set in a pair of 19th-century houses, the elegant B&B and Spa sits right next to George Washington’s Headquarters and the Western Maryland Scenic Railroad. Each room is designed in a colonial Americana theme with antique furnishings and hardwood floors. In-room spa treatments are available for guest convenience. Guests who stay here will also receive complimentary coffee and tea daily. This is the perfect place to spend your getaway in Maryland! As the name suggests, Put Yourself First Day Spa is the perfect place to spend some well deserved time back on yourself. The unique day spa specializes in one-on-one therapeutic massage, bodywork and organic health treatments. If you’re looking to unwind and relax, this is the perfect Maryland spa to do so. The staff are exceptional and they really do focus on putting you first. Each natural product boasts restorative and healing properties to ensure that your treatment is optimized and effective. The attention to detail, natural products and YOU are the reasons that Put Yourself First Day Spa is the best spa in Maryland, Cumberland. Chesapeake Beach is a small coastal town in Maryland just an hour south of Baltimore. If you’re looking for romantic things to do in Chesapeake Beach, Maryland, you’ll be pleased to find plenty of options. The beautiful bayside community is filled with secluded Maryland beaches, waterparks, waterfront restaurants and historic events & festivals. 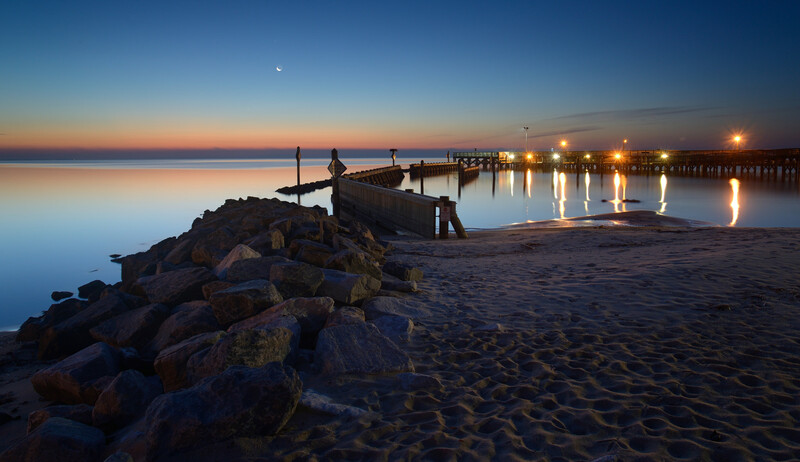 Chesapeake Beach is a dream destination for many, with its picturesque piers and epic sunrise spots. 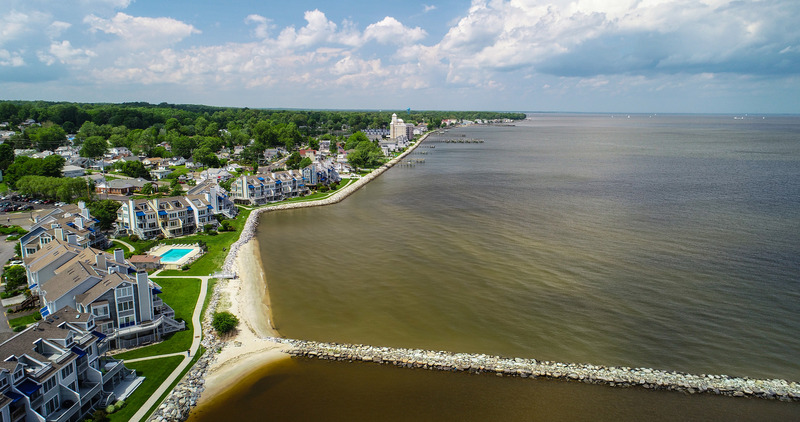 There’s no doubt you’ll love Chesapeake Beach as much as we do. North Beach is a small town just north of Chesapeake Beach. It’s a perfect place for a small day trip in Maryland. Known as one of the best beaches in Maryland, it’s the perfect Maryland attraction for couples. The tiny town is centred highly around tourism. There is a brand new boardwalk with loads of delicious food vendors, shops and activities. Some of the other key attractions are resort spa hotels in Maryland and a recreational water park. It’s a fabulous place to explore for an afternoon excursion. Located in Chesapeake Beach, Brownies Beach is a tranquil beach, surrounded by cliffs. Visitors often find sharks teeth and sea glass along with beautiful selections of seashells along the seashore (try saying that 5 times fast….ha). It’s a beautiful place for a picnic, catching the sunrise or strolling along the beach. Situated just off the new boardwalk in North Beach, Bay Wine & Spirits is a relaxing way to spend an afternoon with your love. The charming shop overlooks Chesapeake Bay and is inviting and friendly. The shop is often filled with a good mix of both locals and tourists, giving you plenty of people to get to know if you’d like. You never know who you’ll meet. Charter Fishing is an excellent date idea in Maryland for couples who love adventure. The Daydreamer Charter Fishing crew is the perfect way to spend an afternoon on your Maryland vacation. It’s not uncommon to catch rockfish that weigh as much as 50 pounds! The crew is a blast and will do everything they can to make sure you go home with a big catch to show off. If anything else, it’s a great way to see the beautiful waters surrounding Chesapeake Beach. So if you’re looking for fun things to do on your romantic getaways in Maryland, this is it! 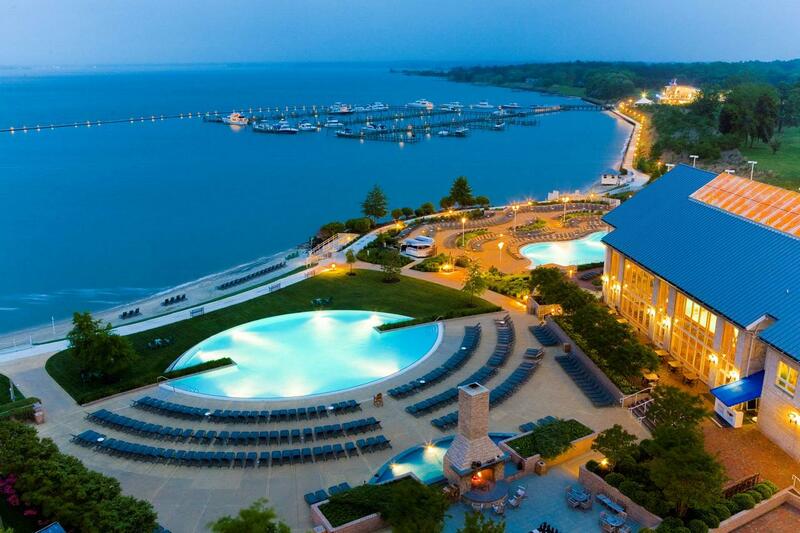 Overlooking Chesapeake Bay, this Maryland Spa Resort is just what you’ve been looking for! So why not stay here on your romantic weekend getaway to Maryland. The property features a full-service salon & spa, a casino, a fireplace or spa bath, and an on-site restaurant. You don’t even have to leave the resort if you’d like. 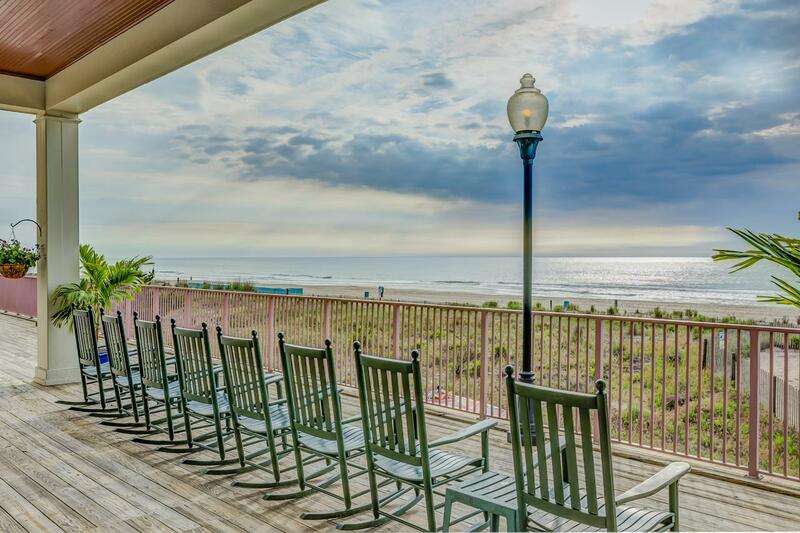 It has everything you need, including an indoor heated pool and an outdoor seasonal boardwalk cafe. But, what’s a vacation to Maryland without venturing out right?! 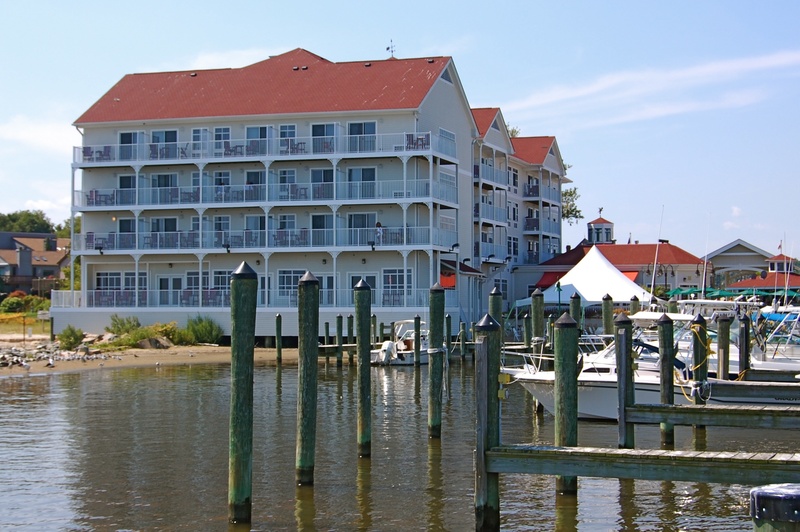 Chesapeake Beach Resort & Spa is one of the best resorts in Maryland, and it’s easy to see why. Their service is unmatched and their amenities are better than you can imagine. If you’d like to take a tour of any kind, simply ask the reservation desk and it will be set up for you. If you are celebrating your honeymoon in Maryland, we highly suggest staying in one of the beautiful honeymoon suites in Maryland at Chesapeake Beach Resort & Spa. You’ll be glad that you spent your Maryland honeymoon or romantic getaway here! The Palms Salon & Day Spa is the perfect place to find serenity on your Maryland vacation. This upscale salon features a wide range of services from hair and makeup services to body treatments and massage. The staff is experienced and provides in-depth consultations to their guests, ensuring the best possible experience at the Maryland spa. The Palms Salon & Day Spa is one of the best spas in Maryland and will leave you feeling beautiful and rejuvenated. Home to the famous honeymoon bridge, St. Michaels is the perfect destination for a romantic weekend in Maryland. The charming harbour town sits on the gorgeous Chesapeake Bay and features amazing attractions for couples visiting Maryland. St. Michaels played a large role in America’s history and takes pride in reenacting parts of the War of 1812. The harbour is always busy with fishermen hauling in the catch of the day and there’s a never-ending view of sailboats covering the bay. It’s truly a magical place to experience. If you’re looking for things to do in St. Michaels, don’t worry, there are loads of exciting things to choose from. Visitors can explore the Hooper Straight lighthouse, hear spooky tales of historical cemeteries, go sailing or simply relax on the beach. 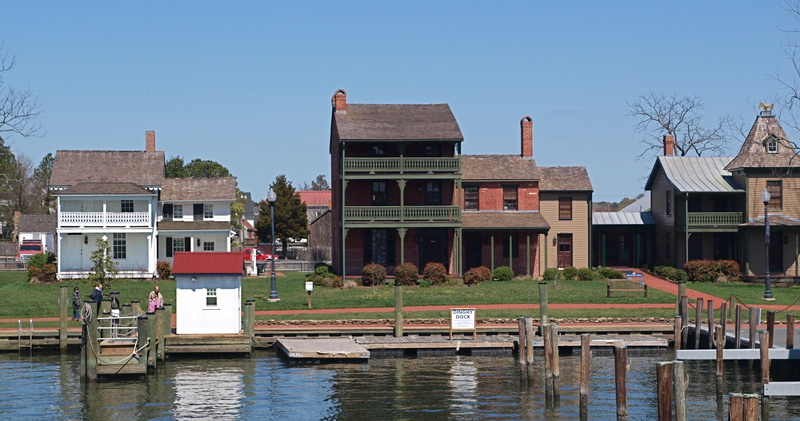 One of the main attractions in St. Michaels is the infamous Chesapeake Bay Maritime Museum. It’s filled with fascinating history that anyone can enjoy. When it comes to romantic Maryland beach towns, St. Michaels is our top pick. Anyone who visits the coastal areas of Maryland will notice the vast number of lighthouses that exist along the Bay area. The Hooper Strait Lighthouse is perhaps one of the most famous lighthouses along the Bay, however. The 19th-century lighthouse played a large role in Maryland’s history and has kept St.Michaels safe since 1879. The lighthouse was named after the dangerous Hooper Strait thoroughfare that runs from Chesapeake Bay to Deal Island. The lights would keep boats on the right path. The interactive lighthouse allows you to learn how the lighthouse keepers tended to their station. The Hooper Strait Lighthouse is one of the best attractions in Maryland for couples who like to explore. Feel free to climb the sea hatch and stand on the lookout and see what you can find. 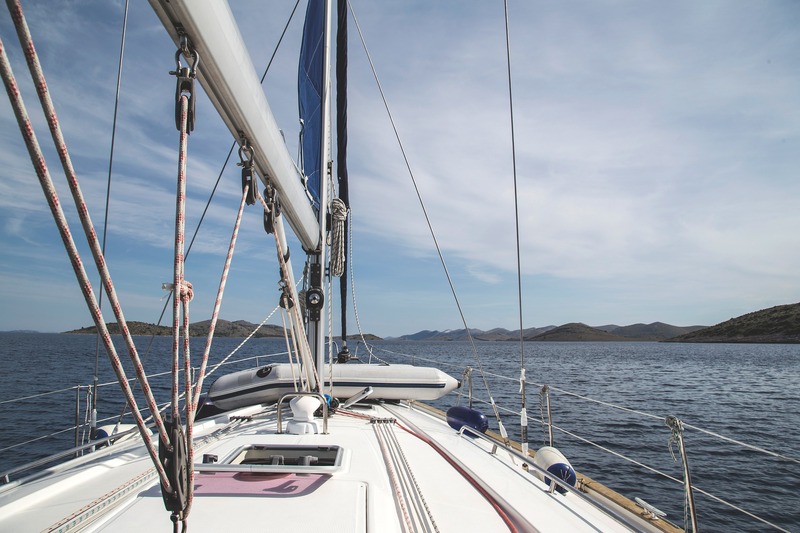 One of the best things to do in Maryland for couples is a sailing adventure with your sweetie. Sail Selina II Boat Tours runs from St. Michaels from April through October. The 1926 Sailboat boasts a Great Gatsby era charm and is available for daily sails, champagne sunset cruises, moonlight sails, sailing lessons and romantic dinner dates. A unique Maryland wedding idea is to hold your event aboard. Of course, it needs to be a small wedding party, but how amazing would it be to get married under the stars at sea? The Chesapeake Bay Maritime Museum, or CBMM, features an interesting collection of indoor and outdoor shipyard exhibits, a museum store and gorgeous scenery. Couples, in particular, enjoy strolling hand in hand over the Honeymoon Bridge. The Museum is a centre for educational programs, annual festivals and boat tours over the Bay. Its location is perfect for an afternoon outing on your romantic getaways in Maryland. Just over the Honeymoon Bridge, couples can find unique shopping, romantic restaurants and exquisite accommodations in Maryland. This luxury spa resort in Maryland is the perfect place to spend your romantic getaways in Maryland. Boasting one of the best spas in Maryland and best views in St Michels too. The award-winning spa is just one amazing perk of staying here. 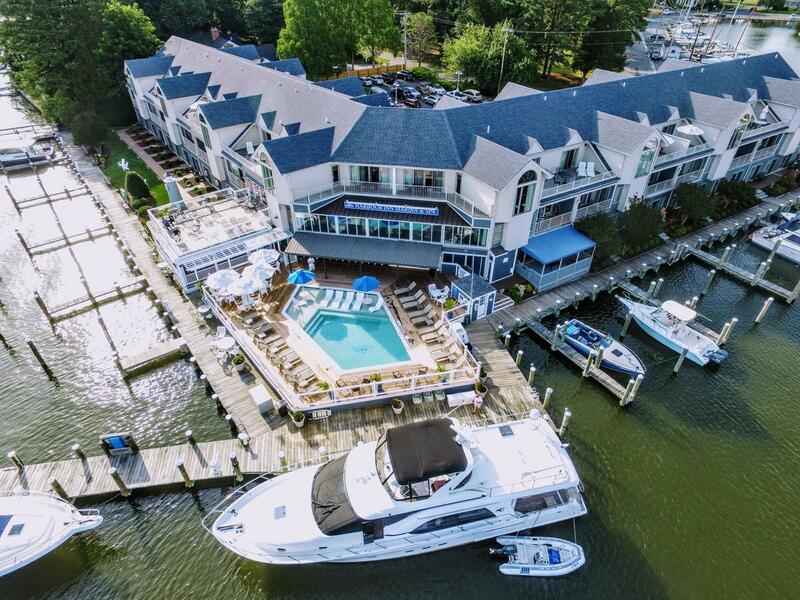 Guests at St. Michaels Harbour Inn Resort & Spa enjoy an outdoor swimming pool, panoramic views of the harbour, an on-site restaurant and an array of activities for couples in Maryland. The romantic resort features luxury amenities, plush bedding and lovely terraces overlooking the Bay. If you’re looking for the best place to stay in St. Michaels, Harbour Inn & Spa is the place for you. The Spa at Harbour Inn is the best spa in Maryland, St. Michaels. The spa features 6 luxury treatment rooms, facial rooms and massage rooms. The couples massage room is the perfect Maryland spa date idea to relax and unwind together. The spa happily welcomes brides and bridal parties as well for group events, just be sure to reserve your time in advance. Take a step back in time when you make Leonardtown part of your Maryland vacation. Leonardtown is one of the last remaining towns to have its own elected Mayor and Town Council. It’s only been in recent years, due to tourism, that the town has started to grow and develop shops and restaurants. Despite its renovations, the charming town still remains seemingly untouched compared to neighbouring tourist destinations. What makes this town one of the best places to visit in Maryland is its charming appeal, friendly people and beautiful coastline. Though the town is small, there is still a waterfront park and a winery to enjoy. What else do you need…am I right?! 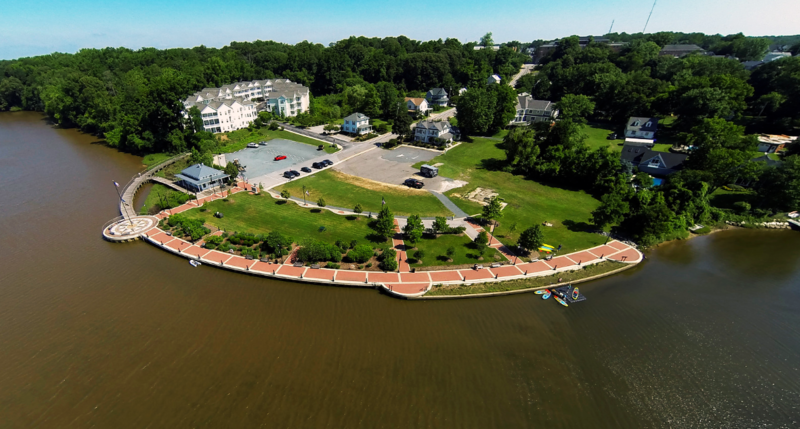 Leonardtown Wharf Park is a place of history, romance and epic beauty! The Park played a major role in Leonardtown in the War of 1812. Visitors can read all about the attack on Leonardtown in the park. Leonardtown Wharf Park is also home to one of the most historical buildings in Maryland, Tudor Hall. Visitors are free to explore the Hall and read about the fascinating history behind the building. If you are planning a wedding in Maryland, Leonardtown Wharf Park has a beautiful outdoor reception space and pavilion area. It’s a perfect site for a waterside wedding. Additionally, visitors are free to bring their boats, canoe’s, kayaks, etc. to play on the Wharf. There are also rentals available at the Patuxent Adventure Center. There’s nothing quite as enjoyable as finding yourself at a quaint winery after a day of exploring. Port Of Leonardtown Winery is the perfect place to unwind after a day trip in Maryland. 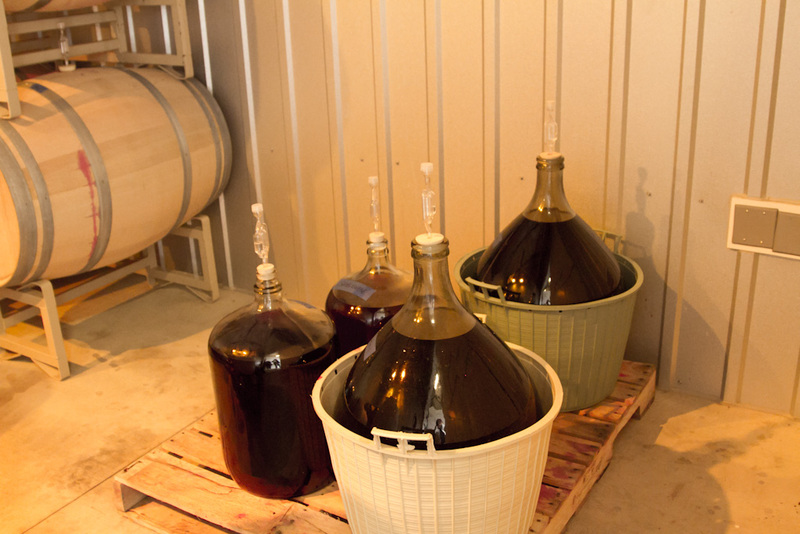 The winery is one of the only cooperative wineries in the country, the Southern Maryland Winegrowers Cooperative. Port of Leonardtown Winery has produced several award-winning wines and continues to be a model for other wineries around the nation. If you love wine, you will really love this place! The winery itself is located in a remodelled abandoned state highway garage. 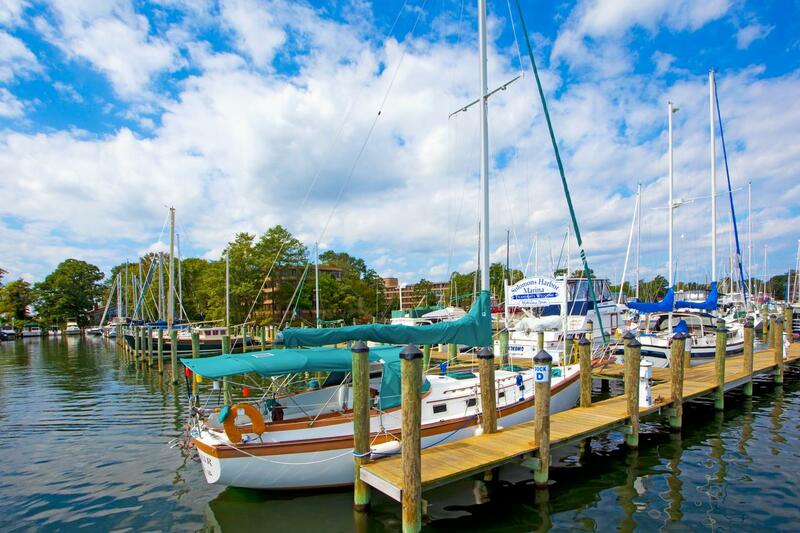 Located just a mile outside of Leonardtown, Hotel Holiday Inn Solomons Conference Center & Marina provides the perfect accommodation for couples visiting Maryland. The waterfront hotel features exclusive access to the marina, outdoor swimming pool, and seasonal outdoor bar overlooking the river. Some neighbouring attractions include Cove Point Lighthouse and the Calvert Marine Museum. There is a full kitchenette for your convenience and the on-site restaurant serves fresh daily breakfast, lunch and dinner. If you’re looking for the best places to stay in Maryland near Leonardtown, Hotel Holiday Inn Solomons is it. S-Kape Salon & Spa takes pride in serving the Leonardtown and St. Mary’s area in therapeutic and beauty needs. The atmosphere is relaxing and welcoming and the staff is professional and attentive to your needs. Whether you need a simple updo for a romantic evening with your love or a full-on bridal treatment before your big day, S-Kape Salon & Spa will exceed your expectations and leave you feeling relaxed, rejuvenated and beautiful. Assateague Island is the perfect slice of Maryland pie! This picture perfect 37-mile long island is two-thirds Maryland and one-third Virginia. The eastern barrier island features beaches, beaches and more….you guessed it….beaches! Oh, and there’s a bit of forest and a few coastal towns in Maryland in the mix too. 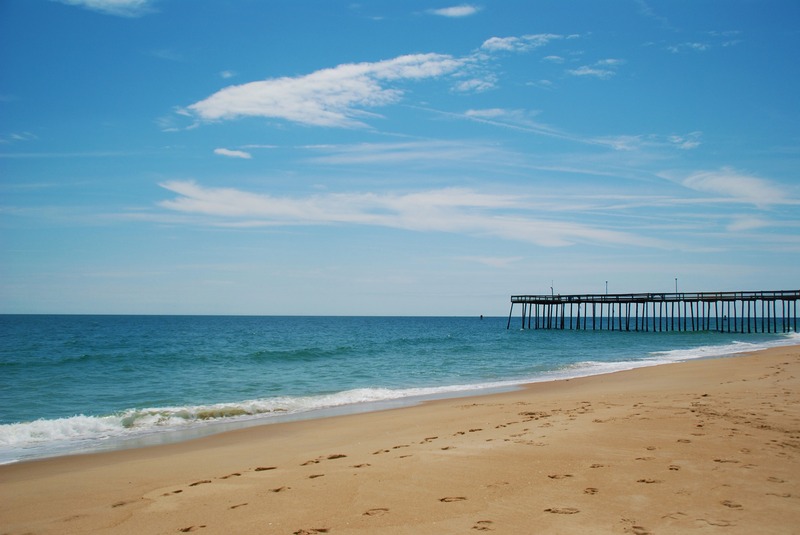 If you’re looking for the perfect Maryland beach getaway, this is your place! 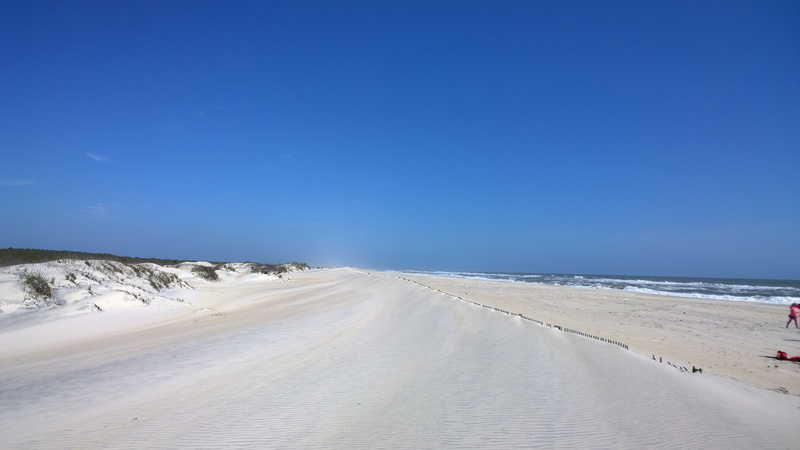 Though the area is small, some of the best things to do in Assateague Island explore the Assateague Island National Seashore, relax in the sun, take part in water sports and visit the neighbouring town of Berlin. Berlin is the picturesque coastal beach town. It’s the perfect place for some shopping, meandering through the streets hand in hand and grabbing a romantic bite to eat. No matter what you do on Assateague Island for your romantic getaway in Maryland, you are certain to enjoy yourselves. Berlin is a picturesque coastal town just a few miles outside of Assateague Island National Seashore and Ocean City. The historic town has been around since 1790 and features some of the most historic areas in all of the United States. Enjoy strolling the historic streets as you walk hand in hand, and learn about the fascinating history that exists throughout. There are loads of historic Victorian homes, museums, and red brick streets to check out, so be sure to free up your day. You might not want to leave this adorable little town on your romantic getaways in Marlyand. Ocean City is another small town located just north of Assateague Island. The small city is home to beautiful Maryland beaches and an infamous wooden boardwalk. In fact, the boardwalk was recently named “America’s best boardwalk” by both National Geographic and the Travel Channel. There are loads of exciting Maryland attractions along the boardwalk as well. Check out the panoramic ocean views from the top of the ferris wheel at the boardwalk’s waterfront amusement park. Grab your favorite food from any of the delicious food trucks or delicious boardwalk restaurants. Or maybe you want to test your life-saving knowledge at the U.S. Life-Saving Station Museum. Of course, no boardwalk would be complete without a beautiful ocean to stare out onto. The gorgeous Ocean City beach features white sand, a crisp ocean breeze and during the summer, beach Olympics, concerts and movie showings! Finally, if you’re planning a trip to Maryland, please do yourself a favor, and plan a pitstop at Ocean City and Assateague Island. You’ll be glad you did! Have you ever seen the pictures of the wild ponies running freely on white sandy beaches? Assateague Island National Seashore is the place! One of the most exquisite features of this amazing Seashore is the Chincoteague National Wildlife Refuge, where the wild Chincoteague ponies run freely. Visitors here are allowed to view the ponies but are not allowed to pet them for both your safety and theirs. 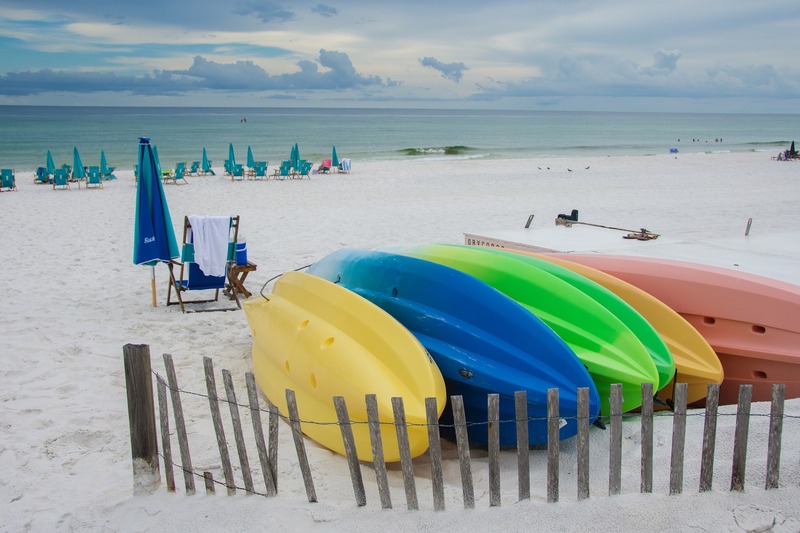 However, feel free to rent a kayak and enjoy their beauty from the crystal blue water. Keep your camera ready, as you might see bald eagles, various seabirds and a variety of sea life beneath your kayak. This is seriously a breathtaking beach and absolutely one of the best beaches in Maryland, maybe even in the nation for that matter. When it comes to waterfront hotels in Maryland, Dunes Manor Hotel & Suites is simply the best there is. Situated just a short 4 miles from Assateague Island National Seashore, Dunes Manor Hotel & Suites is the perfect place for a honeymoon in Maryland. The beautiful hotel overlooks the crystal blue waters of the ocean and features luxurious amenities. Guests have exclusive access to an indoor and outdoor pool, hot tubs, an on-site restaurant and the best beaches in Maryland. Enjoy the serenading sounds of a live piano performance with your afternoon tea in the hotel lobby. Each honeymoon suite in Maryland has its own balcony that overlooks the sea. Imagine drifting off to sleep, snuggled up to your love and listening to the soothing sounds of the waves kissing the beach. I can almost hear it now! Known as one of the best spas in Maryland, Ocean Elements Salt Spa & Float Center is exactly what your body needs. The wellness spa retreat in Maryland features individual floatation therapy rooms. Each room has it’s own Himalayan salt spa tank. If you’ve never done one of these before, they’re AMAZING! Once you’re in the talk spa tub, the door closes and you are immersed in a distraction-free environment where you can safely float and relax. Unlike a traditional spa with therapeutic massages, Ocean Elements Salt Spa & Float Center is designed to help you relax and rejuvenate your mind, body and soul by taking away all distractions and allowing your body to simply rest. The healing elements of the Himalayan salt water heals your body and soothes your senses. This is a must add for any Maryland getaway. No matter your budget or preference, there’s accommodation perfect for your romantic getaways in Maryland. Airbnb is quite popular here; you can find some awesome honeymoon cabins in Maryland or romantic couples retreats in Maryland. Enjoy $50 free credit for your first stay with Airbnb in Maryland. If you want to save on the most romantic hotels in Maryland, here is $20 AUD off your next hotel with booking.com. In a state as beautiful as Maryland, it only makes sense to have a luxury resort is just as beautiful as the State itself. At Hyatt Regency Chesapeake Bay Golf Resort, Spa & Marina, couples receive the best of the best in luxury amenities and services. This stunning resort is easily the best resort in Maryland for many reasons. Situated along the Choptank River, Hyatt Regency Chesapeake Bay features an 18-hole golf course, a 150-slip Marina and a full-service spa & salon. The resort also boasts an array of activities like water sports, mini-golf, cycling or relaxing by one of three pools. There are 3 on-site restaurants & bars to choose from, giving you plenty of options for your long, romantic weekend getaway in Maryland. Each room features plush bedding, luxury bathrooms and stunning views overlooking the river. This incredible waterfront hotel in Maryland is the perfect place to celebrate your honeymoon in Maryland. Located just a few blocks from the infamous Ocean City boardwalk, the luxury hotel in Maryland boasts several pools to relax among. Hilton Suites Ocean City Oceanfront hotel’s outdoor pool features a lazy river with waterslides. There is also a heated, luxury indoor pool and an adults-only pool that features a swim-up pool bar. This exquisite Maryland hotel features spacious rooms with fully equipped kitchens, separate living areas and whirlpool tubs in the bathrooms. There are two on-site restaurants that serve a variety of dishes from around the world. Finally, the oversized oceanfront deck is the perfect place to cozy up to your sweetie under the night stars and share a glass of champagne. Hilton Suites Ocean City Oceanfront is the perfect place to spend your romantic weekend getaway in Maryland, especially in the warmer months. Have you ever been glamping? If you’re anything like us, glamping has been on your bucket list for a while now. 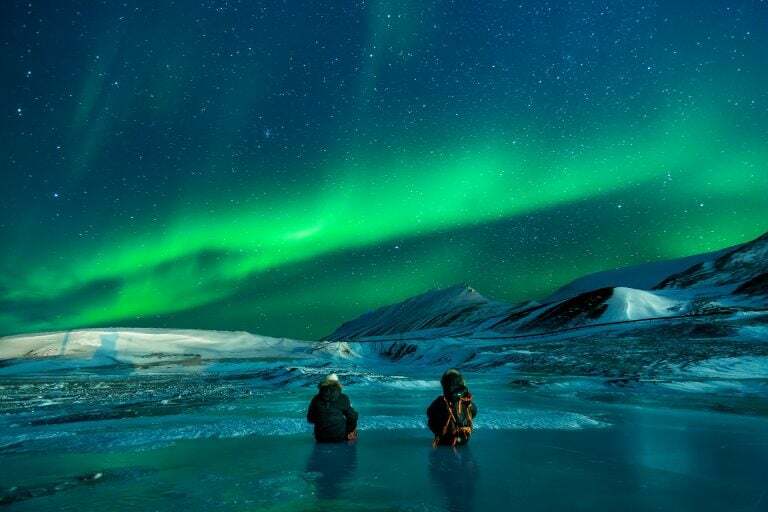 If you’ve never been, Savage River Lodge can help you check one more thing off your bucket list! This stunning property in the middle of Savage River State Forest has got to be one of the most romantic cabins in Maryland. The property provides you with the much-needed peace and quiet that you deserve. With over 40-acres of private land, Savage River Lodge boasts 18 cabins and 8 yurts (round luxury tents). Each yurt comes fully loaded with leather furniture, mini bars and domed skylights. Cabins feature heated floors, gas fireplaces and finely crafted rocking chairs that pair perfectly with the large porches. Guests of the Savage River Lodge have access to over 13 miles of hiking trails, neighboring ski slopes, a fire pit, a library and the main lodge. Enjoy fresh daily American cuisine at the on-site restaurant and complimentary muffins and juice that’s delivered daily to each cabin or yurt. It simply doesn’t get more romantic than this! Located just north of Ocean City, Fenwick Inn is one of the best, most affordable hotels in Maryland. The fabulous Maryland hotel boasts modern amenities, an indoor heated pool and a large hot tub. The rooftop restaurant and bar is the perfect place to toast to finding the best budget-friendly hotel in Maryland. Best yet, the location is perfect if your planning an outing to the beach or neighboring waterpark. Lost Treasure mini golf is located just steps off the property and the Thunder Lagoon water park is just one mile away. Ultimately, Fenwick Inn is the absolute best place to stay in Maryland to get the most bang for your buck! You’d rather not think about all of the things that might go wrong on your romantic getaways in Maryland, but these things can and do happen. We like to think of travel insurance as a safety net, as it’s saved our butts big time on more than one occasion. We had our bags stolen, with passports, cameras and a decent chunk of money, and thanks to travel insurance we were able to replace these valuable items. I fell ill on our honeymoon and had to spend a week in the hospital, which racked up a huge debt. Without travel insurance, we would have been in thousands of dollars of debt. It’s not worth the risk to travel without insurance! Keep your mind of ease on your weekend getaways in Maryland by travelling smarter and safer with World Nomads travel insurance. These guys are the best in the business with affordable coverage for you and your lover on your Maryland vacation. Before booking your romantic getaways in Maryland make sure that your visa is sorted and approved, if you’re travelling internationally. We always organise our visas through Visa HQ. They’re a reputable company that arranges visas for the vast majority of nationalities. No matter your nationality or travel location, Visa HQ will sort you out! 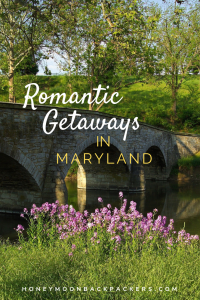 When it comes down to it, Maryland is the perfect destination for your romantic getaways in the United States. The state is filled with vast scenery ranging from the beginnings of the Appalachian Mountains to beautiful beaches. Visitors can enjoy the bustling city of Baltimore or the quiet, romantic beaches in Assateague Island. So often, the main tourist destinations end up being the larger, more well-known cities, however in Maryland, the hidden gems have the biggest flare. With so many romantic activities for couples in Maryland, it’s no wonder it’s one of the most active states in the country. From glamping at Savage River Lodge to enjoying pure luxury at Hyatt Regency Chesapeake Bay Golf Resort, Spa & Marina, there are tons of romantic accommodations in Maryland to choose from.